President Tsai, the Taiwanese delegation, and speakers at Plug-and-Play on January 14, 2017. I am second from the left. President Tsai of Taiwan came to Silicon Valley to open a new center devoted to innovation and entrepreneurship between the two countries. It is an example of how regions are working to improve their competitiveness by seeking out and leveraging the best global partners and resources, including venture capital. Below is a summary of the comments I made at the ceremony. 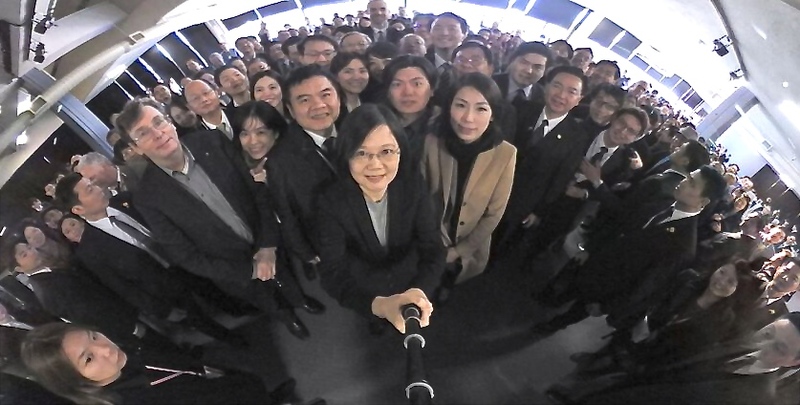 360 degree picture of President Tsai and the Taiwanese delegation at Plug-and-Play on January 14, 2017 to open the new Taiwan Silicon Valley innovation center. I am the third person on the left of the President in the picture. 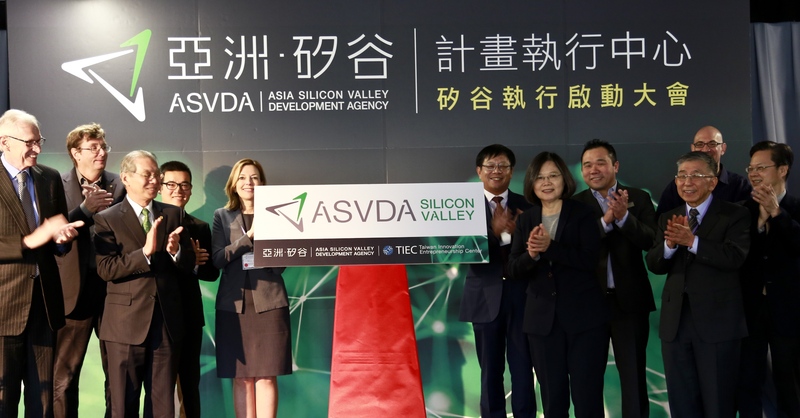 It is a great honor to be here with you for the opening of the new Taiwan Silicon Valley innovation and entrepreneurship center. Congratulations also on your historic win. It is wonderful to again be with you and so many of my Taiwanese friends. I have worked in Taiwan my entire career, first in consumer electronics with great companies like TSMC, then for years as a member of the government’s scientific advisory board, then with ITRI, and now with other great companies working on improved innovation strategies. Each era of my career in Taiwan has had unique challenges. The global innovation economy of today is dramatically more competitive and many technologies improve at rapid exponential rates. In this challenging environment, the entire world is trying to find ways to increase growth and produce meaningful new jobs. Today our performance is unsatisfactory. Governments are working to improve national competitiveness, programs like this are being formed to aid in the formation of new companies, and established companies are working to create higher-value products. I am part of the U.S. the National Academy of Engineering and National Science Foundation teams working to improve the impact of government R&D initiatives. The policies we are using today evolved out of the 1950s and they are no longer sufficient. Only the strict adherence to value-creation best practices will create the economic impact required. Similarly, Singapore and the other countries around the world I work with are aspiring to improve their government R&D policies. Companies are working to accelerate their value-creation methods. In Taiwan companies know they must move from being OEMs to creating new high-value products. In addition, universities must do their part in producing graduates with the value-creation skills required for a lifetime of professional success in our demanding global innovation economy. There are increasingly programs like that in all major U.S. universities, such as Stanford, MIT, and Berkeley. I know you are working on all these important areas to improve Taiwan’s competitiveness. I wish you the very best and I hope that I can continue to work with you and my other Taiwanese friends to help move the country forward. Congratulations again on becoming Taiwan’s president and congratulations on the development of this major new venture between the impressive entrepreneurs of Taiwan and Silicon Valley.